My brother in law is a genius. He made a CNC machine for himself couple years ago. He has been making and selling CNC machines lately. 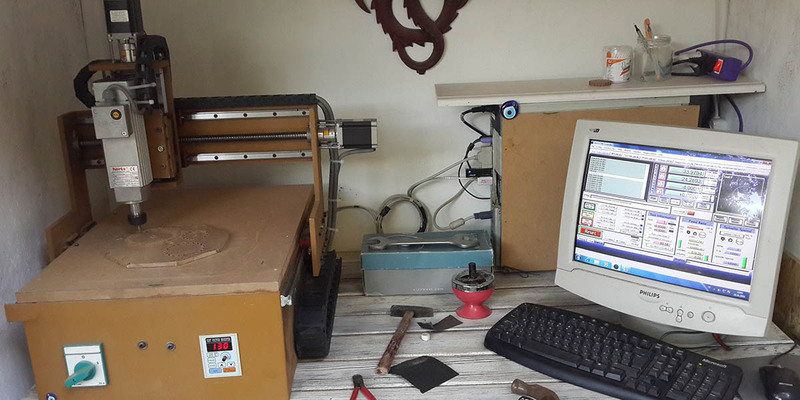 In this spring when he said that he was making a CNC machine for me, I was very very excited. After making my first automaton project in winter, I was frustrated about cutting the wood, not being able to create what I wanted to do with the limited hand tools I had. I tried using different materials like wire and even concrete to use on automata projects. In June he brought the machine and installed. It is such a big big step for my automata projects. I have not been able to use it much beacuse of the busy summer time. My daughter’s holiday, my work and all the other things. I was only able to complete one automaton project so far, only working whenever I had a minute. But starting from mid september, I will have much more time for automata using CNC. Can’t wait…. Big big thanks to my brother… It is a magic machine. Yep 🙂 I am very excited!! !